Curious about Agile? Want to learn how it can help your organization? 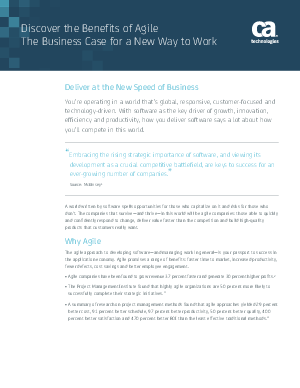 Then read “Discover the Benefits of Agile.” It’s a great introduction to the ROI of agile, how it works, and how to get started.